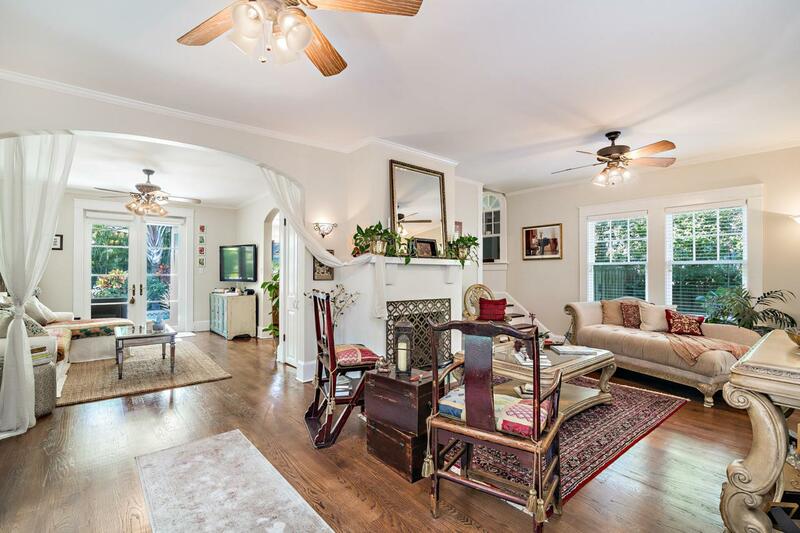 Historic and charming 1921 Craftsman in the notable Mango Promenade neighborhood. This two-story home, lovingly restored and renovated with original features including Miami Dade hardwood floors, stain glass windows, and a fireplace. The home has a large Living Room with French doors leading to the garden patios, a sun-drenched family room leading to the pool area, a Gourmet Kitchen adjacent to the outdoor area with views of the lush Gardens and Pool. Upstairs is a luxurious Master Suite with a large sitting room, private outdoor patio and a new master bathroom which features a large shower, claw foot soaking tub and lounge area. 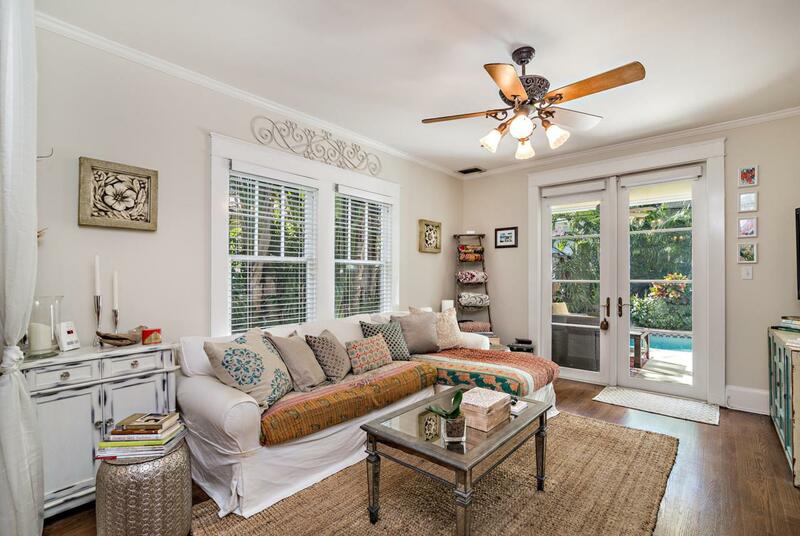 The Backyard Oasis is privacy fenced with an enchanting Cottage featuring a 1 Bed/1 full bath, living area and kitchen with French doors leading to the...Historic and charming 1921 Craftsman in the notable Mango Promenade neighborhood. 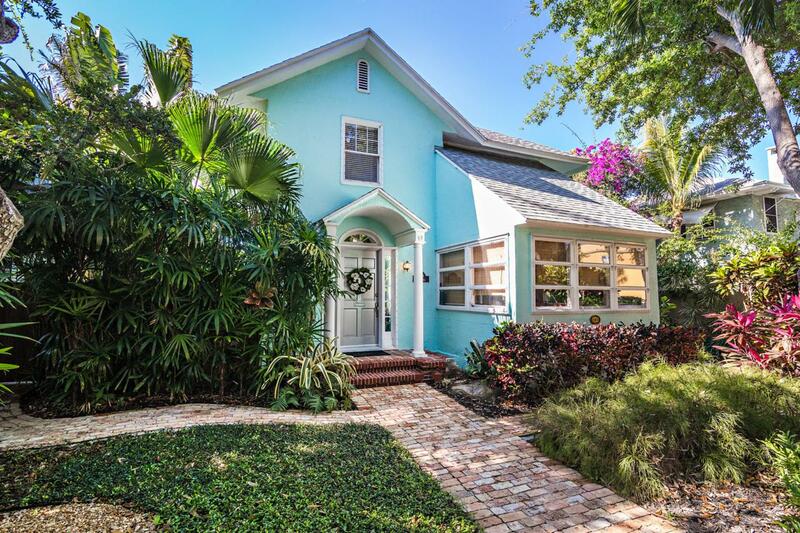 This two-story home, lovingly restored and renovated with original features including Miami Dade hardwood floors, stain glass windows, and a fireplace. The home has a large Living Room with French doors leading to the garden patios, a sun-drenched family room leading to the pool area, a Gourmet Kitchen adjacent to the outdoor area with views of the lush Gardens and Pool. Upstairs is a luxurious Master Suite with a large sitting room, private outdoor patio and a new master bathroom which features a large shower, claw foot soaking tub and lounge area. The Backyard Oasis is privacy fenced with an enchanting Cottage featuring a 1 Bd/1 full bath, living area and kitchen with French doors leading to the gardens/pool area. The front yard features Old Chicago Brick and privacy gate with electric entry, and a double driveway. The property is sure to enchant. The home is in historic Mango Promenade, just south of downtown West Palm Beach and less than two blocks from Flagler Drive and the Intracoastal Waterway. Approximately one mile away is City Place, with many stores and restaurants, including a movie theater. Also downtown is the bustling Clematis Street, with many great restaurants and bars. Just over the bridge is the town of Palm Beach, including many fine restaurants, shopping on Worth Avenue, the famous Breakers Hotel, and the beautiful South Florida beaches. The home is a few blocks away from the Norton Museum, Antique Row, and several restaurants, with Table 26 and Grato being very close by. There are numerous school options, both public and private. The home is convenient to I-95 and the Florida Turnpike, as well as the Palm Beach International Airport.